Laurie Taylor graduated from Oklahoma State University with a Bachelor of Arts degree in Journalism and Broadcasting, Public Relations in 1999. 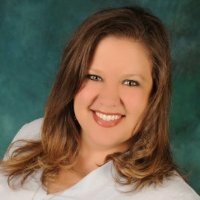 Since then, while working in full time public relations and marketing roles, Laurie studied leadership in the Master of Arts program at Southern Seminary. As an adjunct instructor for U of L, Laurie is a mother of three who balances teaching with being a graduate student, working full time, and leading a team who manages daily operations of the consulting firm she founded and still owns. "Connecting with college students is the highlight of my days. Using real examples from the professional endeavors I'm working through helps the students' understanding, and developing curriculum and exercises for the classroom helps me fine tune the PR, marketing, and communication craft I love. One feeds the other, and I get to know amazing students as they develop into better communicators and future leaders," she said. Laurie is reviewing doctoral options like Educational Leadership and Organizational Development with an emphasis in human resources where she could study the connection between personal branding and corporate branding in the digital age. Another option is a DBA, which seems like a sensible next step to Laurie because much of her marketing and communications work has been for small to mid-size businesses who value the core business skill set. Another option for Laurie's next pursuit is a doctorate in the entrepreneurial arena, which interests Laurie not only as a business owner, but as a consultant, coach, and instructor. The choice will be made soon as Laurie continues toward doctoral studies for her work in the classroom and in the marketplace.